So excited to start In Search of Summer – anyone else want to join the fun, too? Today: Babies sleeping in nothing but a diaper! Click over to www.iheartfaces.com to check out all of the beautiful face entries this week! I usually dread summer (live in Phoenix) but your list has me kind of excited. Thanks for coming by to enter my giveaway, I’m tickled to have now discovered you blog too! What a sweet baby. Love love this shot! Oooh, in black and white too. So cute! ooh. i love this shot and the perspective. are you a nikonite as well :]? OOOHHH!!! THis is awesome..Well sone! LOVE this picture. The angle and editing are wonderful. Captures a precious moment. Very cool shot. Precious photo. 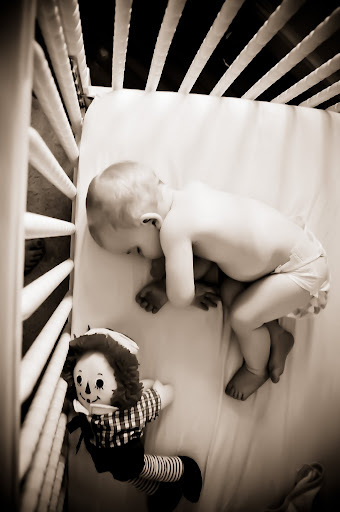 There’s nothing sweeter than a sleeping baby… great shot! Love the angle you took this photo from! I love the perspective of this photo and the tone of it.